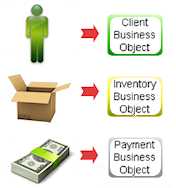 Allows real object abstraction using the object class paradigm: lets to define categories of similar objects (or classes) and to create their instances with behaviors and internal states so that each object in the real domain can have a direct representation with a "business" object within the software application domain. Any type of job activity (developing plans, overseeing projects, coordinating team members, managing time, supervising people, tracking critical assignments) can contribute to information and documentation overload. OBEROn is designed to manage business objects which collect any type of information and documents from any real context. The integration with the Apache Tika™ toolkit allows to detect, extract and create index for metadata and structured text content from various documents. 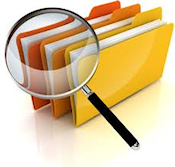 In this way, you can retrieve files and documents, based on the text content in a search. Allows a customizable lifecycles for each object instance; that is, objects of the same type can have different life cycles at the discretion of their creator. 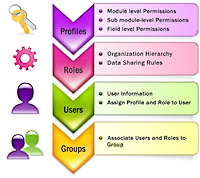 The definition of application domain along with all its components like actor users, access privileges, classes, properties, processes, document types, information flows, etc. can be very quick and allows you to release the software for production systems faster than custom development. This is true even for future changes improvements or system integration. Allows users to work together easily and efficiently, collaborate with confidence over the Internet with a multilayered security, deliver proactive information, such as instantly informing partners of new product requirements, resulting in smarter business processes. Gives users without extensive technical development skills the ability to create business applications able to publish and share information via web interfaces and mobile applications in addition to the standard desktop clients. By integrating Web Services, the access to the object data and documents about a Business-Services running in production is guaranteed at any time. 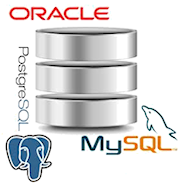 Adopts the standard SQL (employs the JDBC drivers); this let you to exploit the power common relational / transactional database for query performance and security. The OOQL (OBEROn-Object-Query-Language) language allows to perform all administrative and domain object actions and to execute command-line queries in addition to the java APIs.